Alexis is about five (5) years old and weighs about sixty (60) pounds. 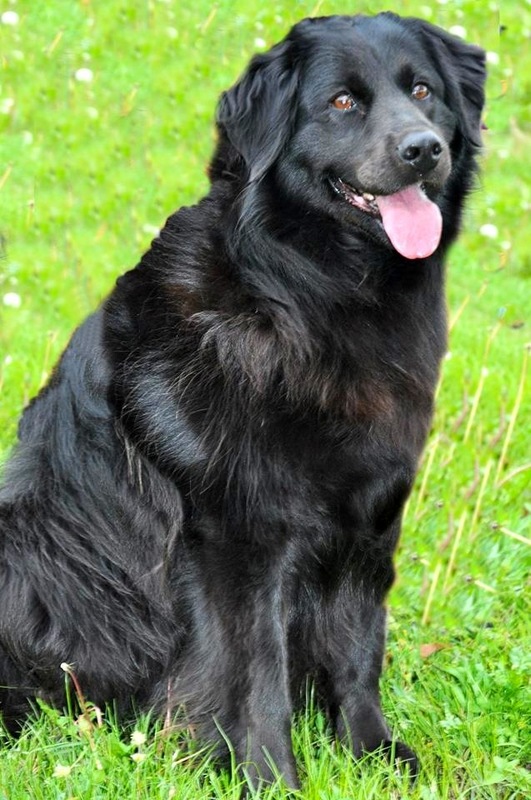 Our best guess is a Flat-Coat Retriever or Border Collie mix. Alexis is in dire need of a foster or forever home as she has been sitting in boarding for almost three weeks. Alexis is a great dog but her crime is being scared of storms. Her owners of the last five years knew that but left her outside in the horrible storms we had a few weeks ago and she scratched their custom wooden door to get their attention and out of the torential storms and had to leave that day. 🙁 Alexis is house and crate trained, gets along well with cats and other dogs and is ready to find her forever home!